In recent years I have established an understanding of many important principles that determine whether a home will be healthier living environment. I would like to systemize, present, and motive those principles, so that a bigger audience can think about them. And I will be happy if they decide to use them when they build their house, renovate or furnish their home. In this article I’ll stress on formaldehyde exposure – what are the major sources of formaldehyde vapor in our home, and what steps we should take to detect, remove, and prevent for this poisonous compound. But first let me say a few words about how the quality life is connected with the quality of air inside your home. If you are not interested in the next few paragraphs please skip directly to the essence of the article. Above all, we must realize that the house we live in have much greater significance and impact on our lives, present, and our future than most people realize. Our home is not just a place in which to have a place to sleep, to eat and to spend time, but it has a direct impact on our quality of life, our success in work, and business, and relationships with other people. Most of the time our home has a direct influence on our physical and mental health condition. Whether we realize it or not, our health is inextricably linked to the type and quality of the place in which we come every day to find peace and rest. Complete rest is fundamental to the effectiveness and functioning of our intelligence and for the proper functioning of our physical body. Whether work or our business is predominantly physical or intellectual in nature, quality of rest that our home provides us directly reflects the quality of work that we will be able to do. Good quality rest depends greatly on the healthy blood flow in our body. Healthy and uncontaminated blood is the main factor for good physical and mental health and for the full functioning of our intellect. And to have this type of blood in your body there are three basic requirements: clean air, clean water and clean food. Our home is directly related to the quality of the air we breathe while we are inside, but also can have a direct impact on the water we drink and the food that we eat. We need to realize how important the air we breathe for our physical and mental health is. Many who are interested in healthy lifestyle focus primarily on healthy eating, but it is necessary to think that if person can last 30-40 days without food before he died, 3-4 days without water, only after 3-4 minutes without air a person would die. Of course these figures are approximate and vary for different people, but the more important thing is that if the time you can endure without food is measured in weeks, the time in which we can endure without water is measured in days, but the period in which we can endure without air is measured in minutes. That should tell us something about the importance of air and its impact on the state of our body and mind. 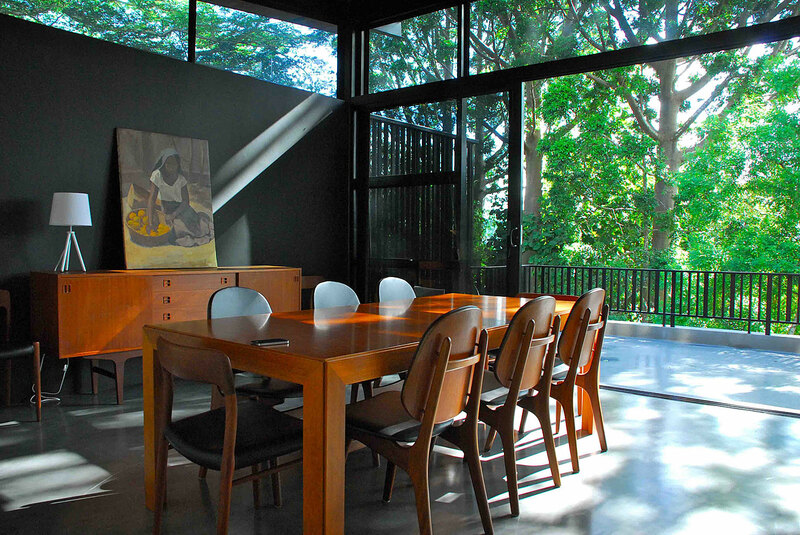 Modern building materials and furniture can pollute interior air. Today’s development is entirely subordinated to the interests of the construction and chemical industries. These interests require a product to be manufactured easy, fast and at low cost, so it can be sold at high profits. The main problem of modern construction and furniture materials is that they use a large percentage artificial chemical compounds that remain active and interact with both our body and the air we breathe inside. Chemical compounds in the form of adhesive material that to a lesser or greater extend release toxic volatile substances which pollute the air we breathe in our homes. This poisoned and polluted air affects the overall condition of the body and our mind. It affects sleep quality, physical fatigue, and the mind’s ability to think clearly, logically and creatively. Needless to say, it reflects the emotional state of the nervous system that affect in addition to everything else and relationships in the home and family. The home environment has a direct impact on the quality of our life. Home is the place where we come to restore their physical, emotional, intellectual and creative powers. This is the place in which there is no place for enemies and traitors. Otherwise, instead of a place of rest – our home will be a place to war and confrontation. After all the difficulties that we encountered during the day, after all confrontations with problems of any kind, we need to return to a place where we are surrounded only by friends. From everything that makes us calm, confident and satisfied. Home is not a place in which our body is going to fight wars for its survival, being attacked by air formaldehyde poisoning, aging polystyrene, mold spores, whose sources are unknown to most people. In our home body should feel protected not only from the cold, wind or heat, but also by the invisible poisons that famished it, sick it and even kill. Therefore, first we must recognize the fundamental role that our home occupies in our lives. Our home can either be one of our best friends and helpers, or to be our enemy and the enemy of who continually suffer and may even become a cause of death, to us or to those with whom we share home and love. For these very important reasons in this series of articles I will share, which building materials and furnishings contribute to the pollution of interior air. Now we will look at which materials used in construction are able to excrete poisons and pollutants of interior air and what are their alternatives. I would like to say that this article does not pretend to be exhaustive in terms of poisons contained in the materials used in construction and furniture. It aims to serve as a red warning lamp and cause readers to make their own detailed study of all materials concerning their own lives and home. Often you will find that there is conflicting information coming from material producers and institutions on one hand and independent researchers and consumer groups on the other. Yours is the choice of whom you choose to believe. One of the most common poisons that are commonly used in construction, furniture and interior materials is formaldehyde. Plywood plates used in construction and furniture production. Chipboard plates (of which make mass hull furniture). Hardboard sheets used for backs and bottoms in furniture. HDF slabs of which makes laminate flooring, as well as many of the artificial paneling. MDF plates, which are also widely used in furniture production. From all mentioned chipboard – MDF-a HDF-and have the highest rate of release of formaldehyde vapors. Polyurethane varnishes used for varnishing furniture, doors and flooring and some polyurethane foam can contain formaldehyde. Surprisingly, much formaldehyde is contained even in many hair shampoos, hair gels, nail varnishes, as well as blankets, clothes and curtains treated with crushed. Many air fresheners (for cars and rooms) contain formaldehyde and other chemical compounds that can pollute the air. Chimneys if they are not properly cleaned, as well as gas stove if not well ventilated. If you have a garage attached to the house formaldehyde and other toxic gasses can enter unless special measures are taken. Carpets and woven carpets (which use bonding) not only has formaldehyde but also absorbs formaldehyde emanating from other materials and later released it into the interior environment due to changes in temperature and humidity. 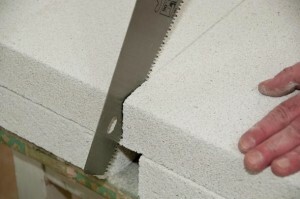 Plasterboard also has the ability to intercept and retain formaldehyde from other sources, and release it later. Certain types of paints can contain formaldehyde, which serves to increase their wear resistance. Glass and stone wool also contain 1-6% formaldehyde, which is used as a binder fiber. Many foam mattresses are particularly dangerous source of formaldehyde. Given that we spend about 8 hours per day in the immediate vicinity with our mattress – inhaling dangerous substances is extremely possible. The same goes for memory foam pillows and blankets all treated with chemicals against creasing. As a rule, check the detailed content of the materials and chemicals in blankets, pillowcases, pillows, mattresses and so on. Look for natural alternatives and do not trust the assurances of sellers who are often astonishingly ignorant of what’s inside of the products they try to sell. It has to be noted that there are two types of adhesives based on formaldehyde. One type is a phenol-formaldehyde (PF), the other is urea-formaldehyde (UF). The allegedly more dangerous one of the two is UF, which has higher expression levels of formaldehyde in the air. UF is used in pressed furniture panels. 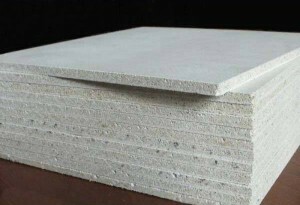 In OSB plates allegedly used PF, which has a lower release characteristics of volatile substances, but I guess it depends on the brand and manufacturer of OSB plates. So what are the steps we can take to prevent from formaldehyde vapors? Firstly you can take e simple test. They are number of test and devices on the market you can use to detect those vapors. I am going to sit some soe you can have a general idea. Before I started writing this article and I was not aware of some of the materials which contain hazardous substances. Now my task to propose alternative solutions proved much more difficult. But if you are guided by the principle that natural materials are much safer than manmade, the task to educatet our self in the choice of materials is facilitated at least on a conceptual level. 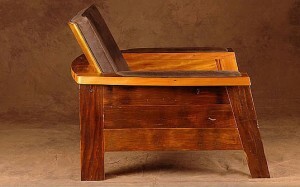 So perhaps the easiest thing is to say that to get rid of poisons in furniture plates (which are among the most formaldehyde releasing gases) – one must use solid wood furniture and avoid those that are made of MDF and chipboard, and to use parquet or flooring and avoid artificial laminates made from HDF. 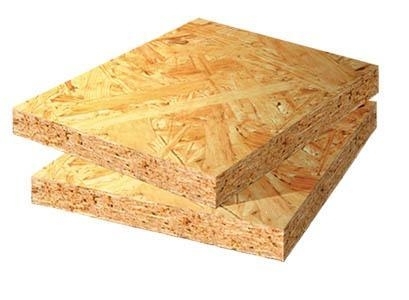 In regard to alternatives to OSB – I can mention wooden casing and magnesium boards, such as that they do not contain formaldehyde. It is possible fiberboard panels are free, but that is to be investigated and verified. Another alternative is the walls to be closed with slabs of Multipor (containing lime, cement and sand) or slabs of pressed straw (need to check what binding agents used for these plates, it is not excluded that manufacturers use formaldehyde). In terms of floor coverings my advice would be to forget entirely about carpets and rugs made of carpet principle. Use natural flooring treated with natural oils and waxes. And in no case ones treated with polyurethane varnish. Instead use woven carpets and rugs that use natural dyes. First and most affordable way to battle formaldehyde is good ventilation of the house. The more ventilated the less the concentration of toxic substances in the air we breathe. Interior air normally contains from 100 to 300 times more harmful substances than the air outside. This is due to all these materials, which we discuss in this part of the article and those who are to discuss the next part. Therefore, regular replacement of indoor air with outdoor air is one of the easiest and affordable ways to reduce the problem. Of course if your home is equipped with ventilation system that continuously provides fresh air in the rooms would be a very good solution, but it is not so accessible to all. Another readily available solution against formaldehyde this is the use of certain types of plants that absorb and process formaldehyde. The plants are exelent air purifiers. They re one of the top choice use when removing bad compounds form the air. Again Nature is on our side and we definitely should take advantage of it. What is said in this article is only a small part of the hole picture. In the next one I’ll try do extend the knowledge of home air pollution with more info and suggestions.